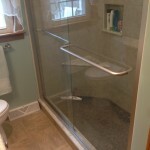 When homeowners start thinking about hiring bathroom remodeling contractors for a bathroom remodel or renovation, it’s usually for an improved quality of life. 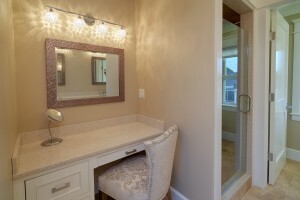 People now want larger bathrooms, more sinks, vanity space and more storage. 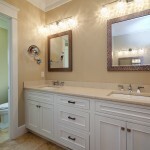 Regardless of the reason, bathroom redesigns are one of the smartest investments in any home. Choosing flooring material, picking lighting, sorting through vanity sizes and making all of the other decisions needed to make your bathroom into the beautiful space you want is easier with the right contractor by your side. Whether it’s a complete master bath remodel or simply updating flooring or fixtures, Northside Home Improvement has you covered! From out dated brass faucets to funky colored tile, one of the first places that can show signs of wear and tear is most likely be the bathroom, which makes homeowners decide to invest in their homes and take on bathroom renovations. 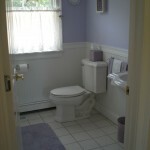 A top-notch bathroom contractor is the key to protecting the investment you’ve chosen to make in a bathroom remodel. At Northside Home Improvement, our professionals will guide you through the entire process and make sure all of the work gets done to your highest possible standards, while helping you make the most of every dollar along the way. Bathroom remodeling in today’s modern world is more than just a trend, it’s a necessity. When remodeling your bathroom, you can bring some of the luxuries of modern age within, making this highly used part of your home more attractive, functional and enjoyable. With the countless innovations now available in regards to sinks, toilets, cabinets and lighting, the possibilities are endless. At Northside Home Improvement, our professional bathroom remodeling contractors will not only be able to meet your every need, but will also exceed all of your expectations. Contact us today to learn how we can transform your bathroom into the space you’ve always wanted!